The Hall of fame recognizes the contributions of individuals who have made a significant contribution to Heavy Events in Canada. Ken Fisher was born and raised in the Watford area with his wife of 28 years. Ken and his wife Marg have raised two children, Krista and Mike. Ken’s son Mike was an up and coming highland games amateur following in his dads footsteps until he was forced to retire due to a back injury. Ken Fisher began his athletic career early, with elementary school track and field carried through to high school and then at the University of Western Ontario where he graduated in 1975 with a BA in Physical Education. 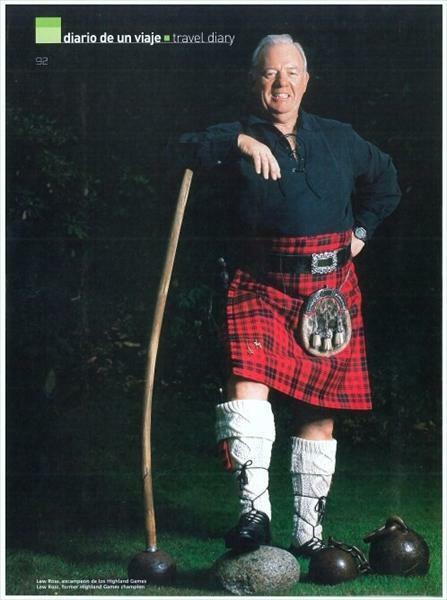 Ken participated in the inaugural Sarnia Highland Games in 1984, where he tied for second place. Ken’s accomplishments in highland sport read like a who’s who of heavy events. He was a member of the All Ontario University Track and Field championships and placed second in shot at the Ontario University Championships in 1974 and fourth at the Canadian Championships. Ken twice competed in the ‘Strongest Man’ Competitions finishing 3rd and 4th. 1995 - Won the Loon Mountain Master’s breaking every field record and setting four new records including stone carry (230 lbs and 278 lbs.). 1995 - Won the Fergus Masters Championships. 1997 - Won the East Coast Championships. 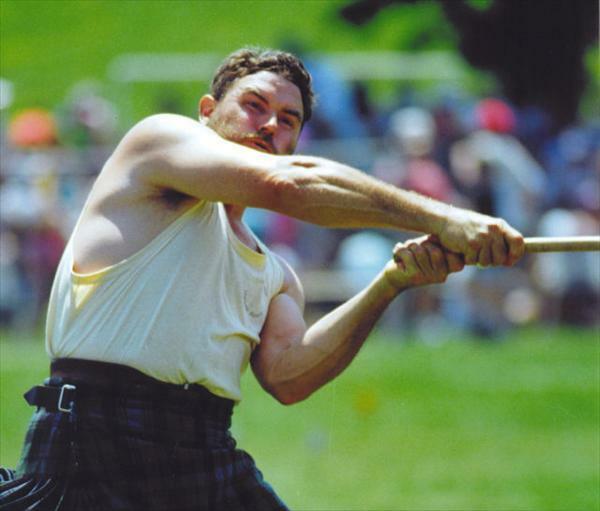 1998 - Won the Sarnia Highland Games Championships. Fisher a true gentlemen, a true representative of all Highland Heptathletes and a true all round Champion. A native of Antigonish, Nova Scotia, Marty Gilfoy has been a constant presence in the Scottish Heavy Events in Canada over his 40 year involvement. Wrapping up his throwing career in 2007, Marty is a 10 time Maritime Champion. He built a strong reputation for himself as one of Atlantic Canada’s top heavies competing throughout Eastern Canada and the Northeastern US. He excelled in the hammers and caber toss and held records across the Maritimes in the Old Scotia Heavyweight Association (OSHA) circuit. Marty enjoyed a throwing career that spanned close to 30 years. Marty put in a very hard day’s work with Maritime Rail but still found the time and energy to train. 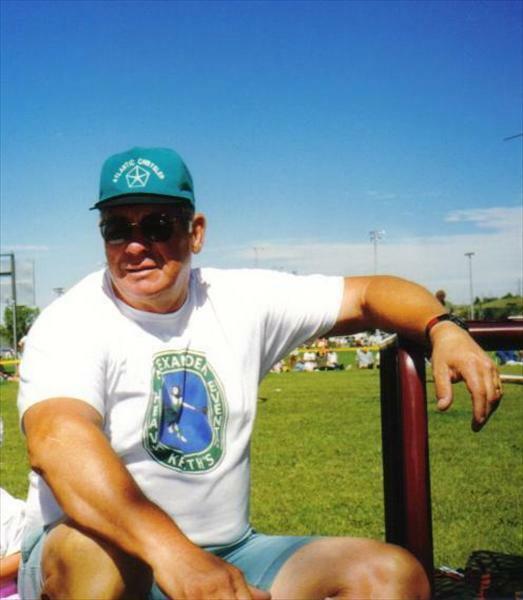 Marty has been responsible for the creation and development of the junior thrower program in Canada which began in 1996 at the Antigonish Highland Games. Since that time he has served as a coach and athletic director for it. He has coached over 75 throwers including three Canadian Heavy Events (Open) champions and several Canadian junior champions. Marty volunteered up to three nights per week coaching; his sacrifice has earned him the admiration of dozens of families. He has also served as athletic director, field coordinator and judge across Eastern Canada. Marty’s leadership has allowed for successful heavy events competitions to be held at Antigonish, Margaree, New Glasgow and Pugwash, NS as well as Quebec City, QC and Fredericton, NB. His competition format has been borrowed by Games across Canada. In recent years, Marty has been a sought-after judge. Marty is not someone who sought to be set apart from everyone else. He brought his family into the Games sphere to support the Heavy Events and any mention of Marty's contributions require recognizing his wife, Barbie Gilfoy. After exactingly organizing, executing, scoring and judging the internationally recognized Antigonsh Highland Games, Barbie and Marty would entertain competitors from around the world with food and drink both at the field, and at Gilfoy family home. They did the same thing for 20 more years. Marty’s outstanding career as an athlete, but especially his leadership and promotion of youth heavy athletics and contributions to highland games in Eastern Canada over 4 decades make him a beloved figure in the sport. Douglas MacDonald a native of Antigonish, Nova Scotia is one of the most travelled competitors Canada has ever seen. He competed out of NS, BC and ON at different points of his short career achieving three Canadian Highland Games Championships in the pre-CSAF era at Maxville. Douglas held Canadian records in the heavy (22 lb.) hammer, the 56 lb. weight for height and both the 16 and the 20 lb. sheaves.‎ He is widely regarded by commentators and Heavy Events historians as one of the best caber tossers ever in the world. The CSAF database caber ranking is calibrated off his winning caber at the 2003 Worlds at Antigonish. His skill and dominance in that event was uncanny regardless of where in the world he competed. 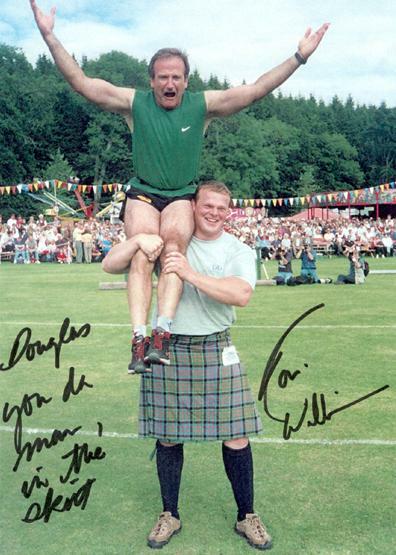 Douglas was the strongest advocate in the founding of what became the Canadian Scottish Athletic Federation (CSAF) in 2004. He used his reputation in the sport and contacts across Canada and globally to lever opportunities for other athletes and the fledgling organization. ‎He also served on the CSAF Board for several years drawing on his vast experiences in Heavy Events competition across the country and internationally. At the more local level in the hotbed of Heavy Events that is Antigonish, he was also a joint creator of the Canadian Junior division. He was thrilled to become World Caber Champion and make third place overall at 2003 World Highland Game Championships in front of his beloved new-world Scots. A dream come true! Douglas retired from the Heavy Events at the peak of his abilities at the age of 32 after the 2004 season to follow his pastoral calling. He could have easily maintained his position in rankings and placings for some years. He has since founded Games at Margaree, Nova Scotia and maintains involvement at the local level. Married to Dorothy (from the Isle of Barra). Two children, Fraser, a Chartered Accountant, and Deirdre, a Landscape Designer. Two grandsons, Parker and Cameron. Worked 7 years (1960-1967) with Rolls-Royce in Information Technology. Brought to Canada in 1967 by Canada Safeway as a founding member of their Information Technology group. Retired 35 years later as Manager of I.T. As a youth, very heavily (no pun intended!) into Rugby and Track and Field (as a thrower of course). Well above average at both but truly excelled at neither. Continued participating in Track and Field. Throws coach in T & F Junior Development (kids up to 15) for 15 years Coach, Manager, and Administrator, in the Delta District Youth Soccer Association for 17 years, the last five as a member of the District Board, the last three as the Chairman of the Board. Entered the Highland Games arena in 1975. For the next 28 years, competed in, organised, adjudicated, commentated, and promoted games throughout B.C. and in Northern Washington. Competed in games from Florida to Hawaii, and from Southern California to Whitehorse. Yukon. Won 27 individual games championships. Two time winner of the Bill Anderson Trophy. (US Open Masters Championship 50+, 1991 - 1992). Member of several Scottish Associations, in particular, The Sons of Scotland and the B.C. Pipers Association. Spends his free time gardening, fishing, snorkelling, traveling, and piping. Hasn't discarded the possibility of a come-back! 1948 to 1952, grade 9 to 12 did sports like rugby, basketball, volleyball, gymnastics, track and field. I continued competing in them in their seasons until my 45th year when my arthritis got real bad and when I stopped I didn't have anymore pain. In 1953, attended the Antigonish Highland Games the first time and competed, although not very well in shot, discus, hammer, however through some encouragement, I tried the caber and won the event and establishing a new field record. Thus began a lengthy career in Antigonish and other centers throughout the Maritimes. As I gained experience in throwing all these events I began to win a lot of championships. The caber however, was my favorite and finally in 1960 I established a record which was never equaled. In those days, the caber was thrown and measured in feet and inches and it had to to turn. It was measured by the judge from the last forward step to the end of the pole. In 1979, at the International Year of the Clans, the regular events as they were competed in, in Scotland were adopted in eastern Canada and regular track and field events for senior men were discontinued, thus my record has remained on the books. From that time the events were called "the ancient scottish events". I remained active from then until 1997 at which time because of having to compete against much younger athletes, as there wasn't a master's class my injuries caused me to finally give up. I was in my 45th year of competition and almost 55 yrs old, although for several years I was tailing off and only doing odd games. I was inducted into the Pictou County Sports Heritage Hall of Fame in 1990 and the CSAF Hall of Fame in 2006. Even though I wasn't doing active competition, I did coaching, building the sport and commentating. Even that function is getting less and I only do this whenever their regular announcer doesn't show up. 2006 was the last time in New Glasgow. All in all with everything added together, it's been close to fifty-five years being involved in something I truly love. I had established some records but most are obliterated now, mostly I just enjoyed the competitions, meeting old friends and making new ones and travelling to places outside of Nova Scotia and the maritime provinces, like Quebec, Ontario, Alberta, Arizona, Virginia, New York, Mass , Vermont and Maine but the biggest thrill of all was being able to compete in the Scottish championships in Crieff as of 10 athletes in 1988 and a lesser games called Glenisla. And with David Webster as the organizer, I was assistant judge with the great Bill Anderson who, only recently was world champion in hammer tossing and most of the other events, at Rothimurchas Meadow in Aviemore, Scotland. With a group of like-minded athletes, Gordon was a founding member of the Alberta Scottish Athletics Association in 1997 ensuring the growth of Heavy Events in Alberta. Gordon was critical to the formation of the Canadian Scottish Athletic Federation (CSAF) in 2004. He has served as treasurer, vice president and president. Gordon consistently advocated for safety, transparency, fairness and inclusiveness. When athletes or Board members latched on to passionately held opinions, Gordon was the voice of reason. He has the ability to bridge the traditional ways of his native Nova Scotia with the visions of up and coming athletes in competitions across Canada. Gordon was the athletic director for the inaugural CSAF Canadian Championship at Calgary in 2005, a monumental effort that was critical to the organization’s establishment. As the Athletic Director for the Calgary Highland Games (Calgary United Scottish Games Association, CUSGA) for over a decade, Gordon organized many other National and International calibre competitions including the first CSAF Masters Canadian Championship in 2009. 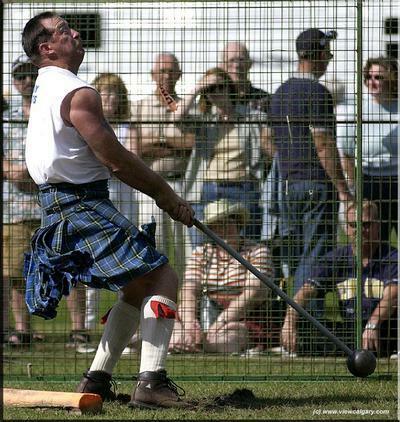 In Gordon’s final year as Athletic Director, the Calgary Highland Games hosted the 2011 World Masters Championship. Working alongside CUSGA, Gordon turned a small local games into a major attraction for athletes of all levels. In 2013, CUSGA recognized Gordon’s efforts by naming the ‘Athlete of the Day’ trophy after the Walsh Family. The Scottish Heavy Events run deep in the Walsh household as Gordon joins his father-in-law, Jim Sears in the CSAF Hall of Fame. Gordon has always been willing to offer advice and coach other throwers. Gordon helped many beginners achieve success on a national and international level. Not only was he a tremendous builder of the games, Gordon was a great competitor and technician. He went unchallenged in Alberta for many years, and was nationally competitive as well. In 2011, Gordon capped-off his throwing career with a victory in the World Master’s Championship in Calgary. 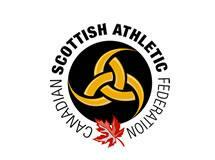 The Canadian Scottish Athletic Federation recognizes Robert (Bob) Whitman for his many years of commitment to Highland Games and Heavy Events as a competitor, mentor, organizer, athletic director, and judge, announcer and CSAF advisor. Bob was an important part of the evolution of Heavy Events in Canada and internationally. His larger than life personality and dedication to the sport is of notable significance. Bob’s own words made his passion for Highland Games clear “...you don’t have to be from the old country-where the games were born-to feel the essence of them.” CSAF recognizes Bob Whitman’s legacy to Heavy Events as a gentleman with a big heart and a big smile who did a tremendous amount of work to sustain and maintain the sport and the games for successive generations.